Is Discover The Plan A Scam Or Did An 8 Year Old Really Make $490k? Honestly where do these people come up with these ideas! 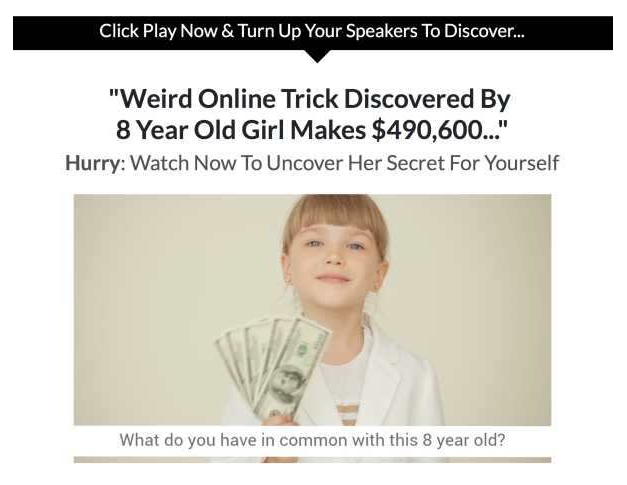 It’s so simple an 8 year old can make almost half a million dollars. Don’t you think you can too? So let’s see shall we is Discover The Plan a scam or are they really going to reveal the weird online trick? After all this weird online trick is going to make all the difference and actually make you money online isn’t it? And she found it!!! OMG that is truly amazing! OK maybe my sarcasm has gotten away with me. I’m gathering you found my page because you felt a little uneasy and wanted to double check a review or find out if if Discover The Plan is a scam before you pay your money, very wise decision my friend, so lets get serious now and check it out. You can skip to any relevant parts of the blog by using the Quick Guide below if you like, but this isn’t going to be a long review as there isn’t overly much to say. Discover the Plan is not an actual system or program it’s simply a hyped up sales page. Yep they want you to pay $97 so that you can get funnelled to another program where you have to pay even more money to participate. For those who don’t know a sales funnel is simply a sales page to catch people’s attention before linking to the product or service that they want you to buy. This is a legitimate way to direct people to a product and there is nothing wrong with that. You probably see them every day, lots of marketers use this system because it is effective. In fact it’s gold because it weeds out those who are not genuine as they won’t click through so you only end up with the type of people that are right for the product. But what annoys me the most about this is that whoever built it didn’t just build a spammy one page sales funnel, they actually have the nerve to try and charge you to go through it! In my experience any sales page that needs that much hype is simply spam. It is a lie and very dishonest. I can tell you categorically that there is no weird online trick to making money online. You do not need to pay $97 to find out because they just made that up! All through the one page and the video are actors. They are paid to read off a script which is suppose to have you reaching for your credit card or clicking through to your Paypal account and parting with your money. Not one of the people featured are real. Their testimonials are written for them. If you take the time to read the fine print they do actually say just that, but obviously they would prefer you didn’t read the fine print or have it pointed out to you. So basically nothing on this funnel can be believed. So where does that leave you? So what Discover the Plan really leads to is a site called My Ecom Club. This is a legitimate site which will teach you how to build an e-commerce shop using Shopify. This is all legit and is one way to make money online. But before you go skipping over direct to Ecom Club you need to know that it will cost you. They make their money with upsells. Almost immediately you have to pay $37 for a personal coach and it doesn’t stop there. 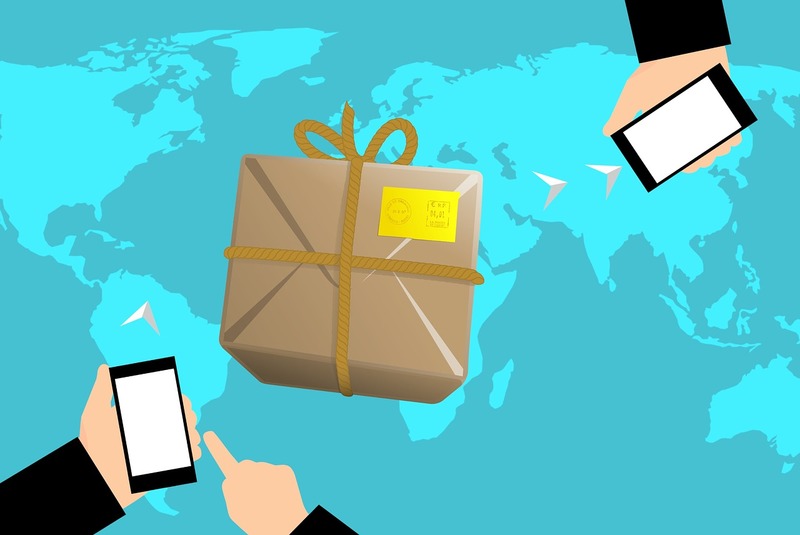 There is a monthly fee of $97 plus more upsells which you need to buy to even start building your online e-commerce shop. By the time you're done you can be looking at spending thousands of dollars and the chances of making your money back in the short term via your e-store are very slim. This is one thing most sites will not tell you upfront. E-commerce and affiliate marketing take time to develop, and require you to put in some effort, to get them to a stage where they make money. There is no such thing as a get rich quick scheme, where you do nothing and the money starts pouring in. When it comes to making money online any system that promises that is simply a scam. But don’t despair there are ways. The process does work, both e-comm and affiliate marketing are proven way to make passive income online. With the right website and training you can set up a passive income business which will pay you handsomely. I would like to introduce you to the platform I am using and where I am building my online business. These guys have been around since 2005 and currently have over 1.3 million members. They are an honest, ethical bunch whose only aim is to see you succeed. They provide all the training, web hosting, tech support and a wonderful community to help you all the way. It is a one stop shop for you to build you business. Believe me when I say you do not need anything else to be successful. Oh and you get me for free, you don’t even need to pay $37 to get a personalised coach! I will be you coach and mentor for as long as you need me all for FREE. OK so we have just met and you probably don’t want to just take my word for it, so they offer you two free websites and 10 lessons which will get your website set up for free. Yep you can join as a Starter Member and check it out, with no risk and no obligation to stay. You don’t have to put in your credit card or sign up to any monthly billing to check it out. You can remain as a free Starter member forever, you do not have to pay one cent. If you would like to know more about affiliate marketing as a way to make money online then click on my How To Make Money Guide below and you can get all the info you need to make an informed decision. If you would like to give it a go the Guide also has links to all the free stuff I’ve been talking about. Don’t waste any more of your time on scams, make a change today and start building your future. I’d love to help you build an honest and legit online business which can make you massive money and change your life. If you’d like to share how you stumbled across Discover The Path and what your plans are now to make money online I’d love to hear your thoughts. As always if you have questions or need some help pop your comments in the box below and we can start that conversation. Previous Post What Is The Secret Millionaire Society? Can You Really Make Millions? Next Post The Crypto VIP Club Review – Can You Earn Over $2,500 A Day?